Septic Repairs? In Need of a New Tank or Leech Field? Cesspool Expired? 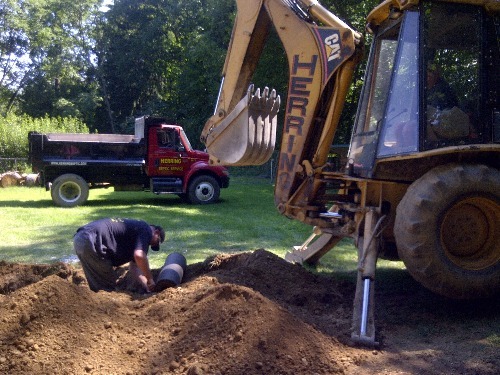 Herring is an Expert in Septic System Installation. Call Us Today. 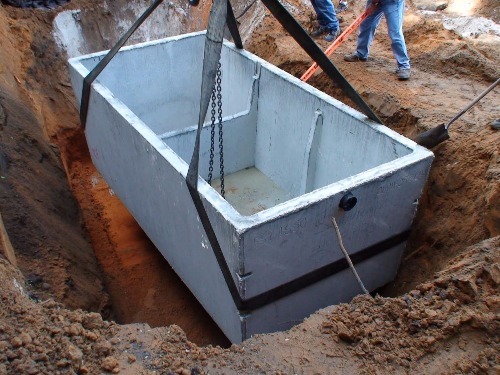 "Simple repairs, replacements, upgrades or new installations of septic system. Herring makes it worry-free." Jimmy Herring started his septic business in 1973. At that time, he began installing septic systems, cesspools and dry wells. Recently Jason Herring was called about a failed dry well. When the records were pulled up what turned out to be a past client, Jason was proud to learn that Jimmy had installed it back in 1974. There hadn't been an issue since...until a truck drove over it over 40 years later. Herring stands behind our construction work because we are experts in doing it right the first time. Herring customers can be sure that when they hire HSS (Herring Sanitation Services) the job will be done correctly. We follow your engineered plans or design a system for you that will meet with Board of Health approval. New installations are often designed by an engineer. These plans must be adhered to exactly as drawn and periodically inspected throughout the installation process. If an engineer is not and/or does not need to be involved, Herring Sanitation will design the perfect septic system for every application. We help you from the deep hole test right through to the final inspect. Plus when Herring installs your septic system you won't have to worry about it for years to come. But don't be silly, you always need regular septic maintenance and pumping. Septic systems can be a simple septic tank, distribution box and leech fields. But today, some septic systems include complex components such as SoilAir systems, Nayadic units and pump up systems. Some sites require curtain drains, retaining walls, and fill. Herring is prepared to handle all stages of construction including these components. Let Herring come and evaluate your septic needs. We offer free estimates to all home owners and are willing to sit down and explain what is required by your engineer, building department or board of health. If you have a set of engineer plans, we are happy to sit down with you so you understand what is being required by the plans that have been submitted to the local authorities. From simple septic repair jobs to complex septic system installations, Herring Sanitation will handle it all.